Aside from food, there are two things we are united on in The Urban List office: our love of all things furry, and our fondness for music (phat Friday beats in particular). Animals, music. Music, animals. You might not think they go together, but they really, really do. The folks at Melbourne Zoo agree, with their Zoo Twilights program set to tickle our eardrums again in 2014, with 14 performances over six weekends from January 24th to March 8th. 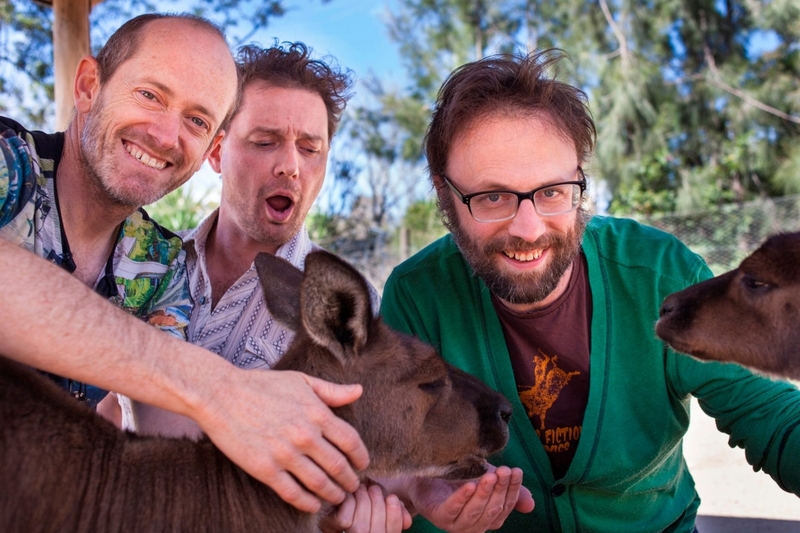 What better way to celebrate Australia Day than by enjoying the musical stylings of Perfect Tripod (comedic songsters Tripod teaming up with the glorious Eddie Perfect and Aussie songwriter, Dan Kelly) and their aptly-titled Australian Songs? Each Friday and Saturday throughout the season, music loving Melbournites will converge on Melbourne Zoo, taking in the big cats, primates and sea creatures, before kicking back and enjoying the night's entertainment among the stars. There are various dining options on offer (plus the Zoo is fully licensed), or you can BYO nibbles (no alcohol) from home. This year's line up includes the likes of: Daryl Braithwaite, Fat Freddy's Drop, Hotel California: Eagles Tribute, James Reyne, Jessica Mauboy, Josh Pyke, Katie Noonan's Songs That Made Me, Something For Kate, and Xavier Rudd. Music to our ears! Tickets go on sale today, so make sure you book soon to avoid missing out on your favourites! In other exciting news, the Zoo are expecting the arrival of a baby elephant in November (squeal), there's a Lemur Island Exhibit opening in December, and a brand new 12-year-old gorilla has recently been welcomed to the zoo family. Don't miss out! Oh, and all proceeds go towards helping Zoos Victoria fight against wildlife extinction. Warm and fuzzies. Tripod and friends. Image Credit: Zoos Victoria Facebook.